Experimental Twitter accounts are nothing new, as a vast field of parody accounts have been crowding feeds for some time. 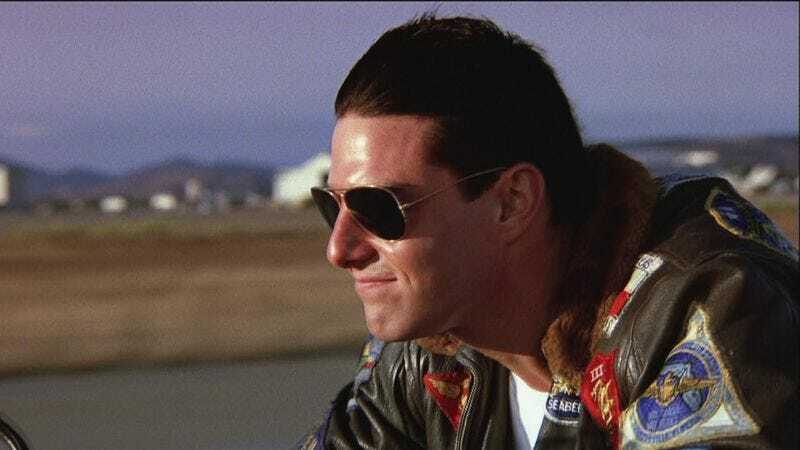 Amid a bevy of parody Seinfelds and fake Bill Nyes, one ambitious user took on the project of tweeting the entirety of 1986’s Tom Cruise-starring vehicle Top Gun, one frame at a time. User @555uhz posted a new frame every half-hour, a project that was estimated to take 145 days and 7,000 subtitled images before the film reached its end credits. Over the course of 1,542 tweets the account grew a sizable following, so much so that it landed on the radar of the film’s production company Paramount Pictures, who promptly had a legal team send a Digital Millennium Copyright Act (DMCA) notice, effectively ending the account for good. Though @555uhz has gone silent, the account is still active, having not yet been suspended by Twitter, allowing for those late to the proverbial beach volleyball game to jump in out of solidarity.